Washington, D.C.-based social justice organizers Jazmine and Amber are co-creators, -producers, and -hosts of the weekly podcast, The Black Joy Mixtape, connecting with women, girls, and femmes as they tackle weekly headlines through comedy and sisterhood. Amber J. Phillips is working to advance the rights of all Black people and people of color. Her writings on Black women at the intersections of politics, pop culture, and the media have been published on new sites like Huffington Post and Rewire, and she’s been featured as a leading voice for Black feminism on The Breakfast Club and ESSENCE. 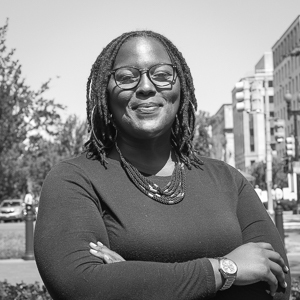 In addition to being the Senior Manager of Youth Leadership and Mobilization at Advocates for Youth, Amber is the Co-Director/Founder of the digital marketing firm, BLACK that uses culture to elevate Black progressive power in politics and media. 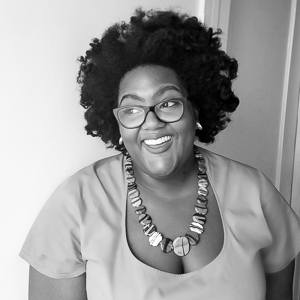 Jazmine “The King of the South” Walker is a Southern Development Strategist supporting social justice organizations working in the Deep South and Central Appalachia. Growing up and earning a Master’s Degree in Sociology in Mississippi, her life and career have been deeply influenced by Southern rap & hip hop, leading her to connect thoughtful, comedic, and timely commentary on politics, news, culture, and movement organizing. Their talk explores embracing Blackness and cultural pride for societal healing.